So, you’ve decided to remodel your home. Here’s how to select a contractor. You’ve decided to remodel your home. That means you’ve decided to, as Southern architect Bobby McAlpine would suggest, reflect “the gorgeous world inside of (you).” And that is no small decision. Nor is it an inexpensive one. But it is transformative. In this month’s column, we provide you with tips for choosing a top-notch remodeler to ensure a rewarding renewal. Think of this matchmaking process in four categories: business experience, technical expertise, customer service and communication, and company policy. In terms of business experience, legitimate remodelers will maintain a permanent mailing address and phone number so they can be reached in a timely fashion, and they will carry proper insurance. In Virginia, for jobs exceeding $1,000, contractors must be licensed as Class A (unrestricted dollar amount), Class B (up to $120,000 or $750,000 annually), or Class C (up to $10,000 or $150,000), each with appropriately stringent requirements. VB Homes is excited for the new overlay that allows for North End residents to build single family homes on duplex lots. Our president, Chris Ettel, has long endeavored to bring this “coastal cottage” look to the North End. 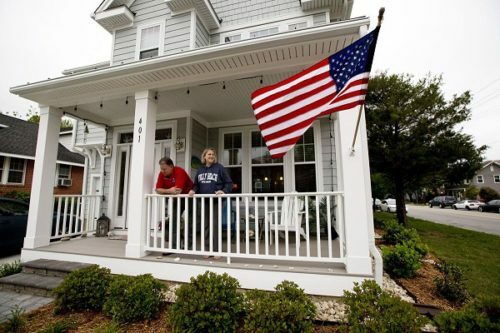 The goal of this overlay is to bring neighbors closer together with the “porch lined streetscape,” and promote a sense of community here at the Beach. 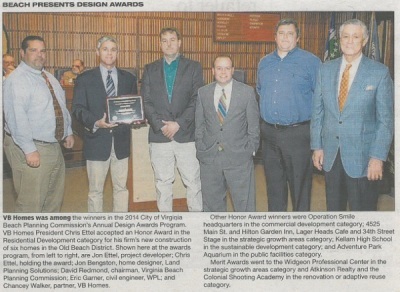 For more information regarding this exciting project, please see the article in the Virginia Pilot. 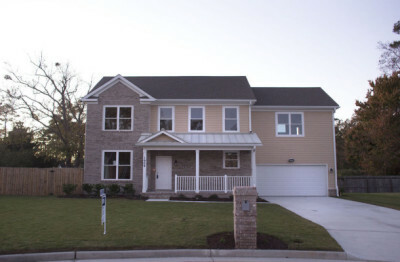 On November 24th, VB Homes (in partner with the City of Virginia Beach Education Foundation and other local businesses) celebrated the completion of the 10th home built by Virginia Beach students. We are honored to have participated, and are proud of the students' successful accomplishment. For more information regarding this exciting project, please see the article in the Virginia Pilot or the video from WTKR NewsChannel 3. Chris Ettel has been an active member of the Tidewater Builder's Association for the past decade. Leading the VB Homes team for 27 successful years, Chris has been making the dream of coastal living a reality for over 200 families at the Beach. 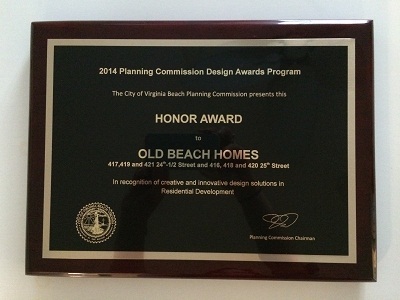 As one of the premier residential builders at the oceanfront, Chris has been an instrumental part of the TBA team in developing Virginia Beach's South End, Old Beach, and North End neighborhoods, and has been recently selected as an approved builder by the Builder's Guild for the upcoming Cavalier Residences. 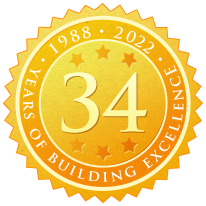 VB Homes, in addition to upholding its commitment to the quality of its workmanship, reaches beyond to promote the betterment of the industry in our region and the state of Virginia. As a member of the Board of Contractors for the Department of Professional and Occupational Regulation, Chancey Walker, III continues to serve under appointment of the Governor. As a former chairman, Chancey believes in the betterment of our community by supporting and endorsing those firms that proactively seek out opportunities for reduced energy consumption and improved efficiencies in the industry. I’M A BIG FAN OF HGTV and am continually amazed by how many different types of home-improvement shows it produces. It’s clear I’m not the only fan of those types of shows, and others like me are interested in maintaining and increasing the value of their homes. While watching these shows-specifically the “do-it yourself” programs-I find it interesting how simple they portray the work of trained, experienced craftsmen and professional remodelers. Peggy Ettel knew what she faced. She’d stood close by as her friend, Denise, another Virginia Beach wife and mother, succumbed to cancer. Yet she “never would have thought in a million years” that a tiny lump discovered upon self-examination, three months after a clear mammogram, would bring her to the same agonizing crossroad. But Ettel had arrived early. She’d recognized signs: months of fatigue and “not feeling myself,” she said. What’s the perfect reward for all that spring cleaning? Celebration of National Decorating Month, of course! April scours bring fresh flowers – and colorful vases, rejuvenated furniture, art refreshed and a sensory rebirth of favorite spaces.